Where do I begin, to tell the story of how great a love can be? 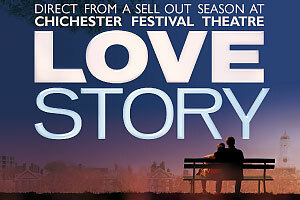 Well, by heartily recommending that you go and see Love Story at the Duchess Theatre. The musical version of the well-known film (and novel) by Erich Segal which premiered at the Minerva in Chichester earlier this year, it has transferred into London with the help of Michael Ball who has joined the creative team as an above-the-title producer. The show sees a welcome return to the West End for Howard Goodall as the composer and co-lyricist with Stephen Clark, who wrote the book. Things started off well as we entered the Duchess to see Stephen Ridley’s onstage band of a piano, guitar and string quintet, instantly indicating that this is going to be a classier affair with Peter McKintosh’s simple white column-based design adding to the dignified air. It is the story of a rich blue-blood Harvard law graduate, Oliver Barrett IV and a less-well-off piano-playing Italian-American Radcliffe College woman, Jenny Cavilleri, who fall passionately for each other and are swiftly married despite their differences and opposition from their parents. We follow their young love as they start to build a life together, but fate has other plans… Directed by Rachel Kavanaugh with a remarkably restrained emotion, the focus really is on the love story rather than dwelling on the tragic ending, Jenny is only diagnosed with about 20 minutes to go as Stephen Clark’s heart-warming and tender book navigates sentiment without resorting to too much of the saccharine. Emma Williams is someone of whom I have heard much but never seen before and darn it if I don’t have to make room for another musical theatre star in my heart as she is simply stunning as the feisty Jenny. A believably ballsy heroine, full of wisecracks but equally capable of great tenderness and possessed of a meltingly beautiful voice which is well served by Goodall’s material. Michael Xavier is also excellent as the handsome but obstinate all-American Oliver, charismatic and charming, there’s a swinging ease to his ‘preppy hockey jock’ and his smooth singing style and despite the some-time bullishness of his character, it is impossible not to be moved by the agonising grief on his face at the end. Together they simply exude chemistry and carry us effortlessly through the compressed timeline of their relationship. In other exciting news, there is live onstage prepping and cooking of a tomato-based pasta sauce (which smelled extremely yummy) all whilst singing a rather amusing and technically well-crafted song about pasta which features an inordinate number of rhyming phrases with every shape of pasta you’ve ever heard. They even tuck into the dish at the end after a bit of S&P and parmesan, it’s all impressively done and makes you love this couple even more. In the supporting cast, Peter Polycarpou is heartbreakingly excellent as Jenny’s deli-owning father, still haunted by the spirit of his deceased wife, but sadly for a story which is about relationships with fathers as well as lovers, Richard Cordery is given too little opportunity as Oliver Barrett III to explore the troubled relationship with his son but still manages to say mountains with the smallest of gestures. The rest of the ensemble cover lots of small roles but provide sterling vocal support with opportunities to shine themselves alongside plenty of beautiful harmonies and vocalisations. Howard Goodall’s music is perfectly suited to this story, beautiful melodies and lush orchestrations sweep over us and enough tunes are reprised within the show to generate a warm familiarity even on first listen. I even loved the cheeky way in which the famous theme song from the film was worked in, blossoming into a lovely choral number from a simple piano beginning. And there’s a strong thematic consistency to the work, others might long for more variety but this is carefully constructed and emotionally resonant, building the mood through the interval-free running time to the devastating finale. 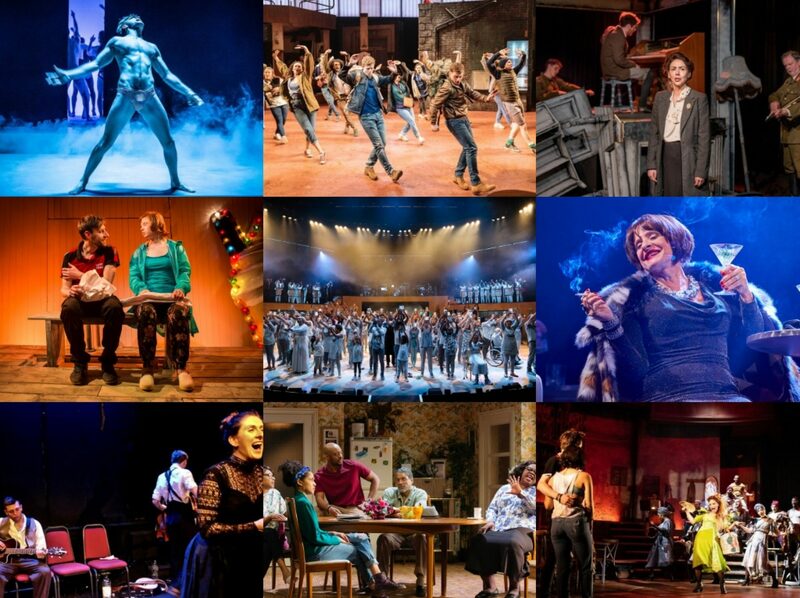 As a new musical in the West End, Love Story should be commended in any case, but as an original musical of such elegance, warmth and beauty, and by a British composer to boot, it should be celebrated and allowed the success it deserves, so tuck away any reservations of mawkishness or such like, book your tickets, pack some tissues and enjoy this intimate and gorgeous chamber show. Emma Williams is always excellent but shamefully under utilised. I hope she keeps her clothes on, because she is too talented to be getting naked like she was. This is everything a period riveting true story that's lovely to look at with flawless acting.